– From 2 December, La Clusaz is opening its famous Balme massif every Saturday and Sunday until the full opening of the Alpine area on 22 December. 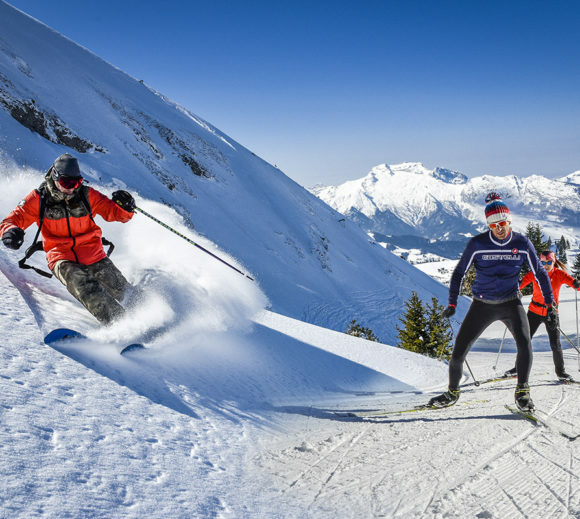 – Faithful to its tradition of opening the season in great ceremony with a ski test, Le Grand-Bornand is welcoming the famous Rock on Snowboard Tour for the first time this winter on 9 and 10 December. – Le Semnoz welcomes you from 9 am to 5 pm on Wednesdays, Saturdays and Sundays. While waiting for the Biathlon World Cup, running from 12 to 17 December in Le Grand-Bornand, fans of cross-country skiing can keep themselves occupied by practising their favourite sport in La Clusaz on the Plateau des Confins, in Le Grand-Bornand in the Vallée du Bouchet, in Le Semnoz, in Manigod and on the Plateau des Glières.